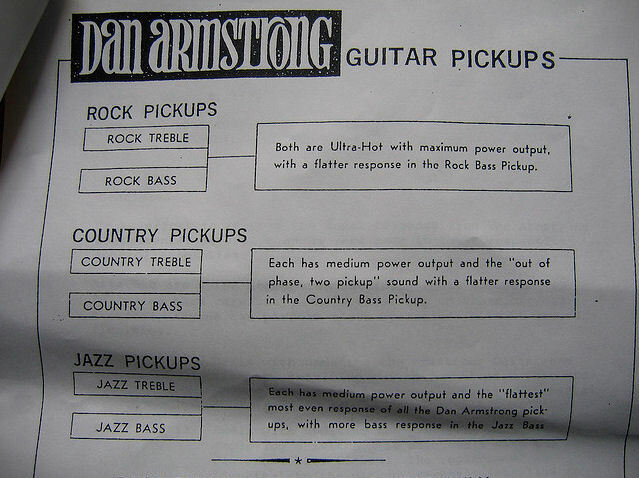 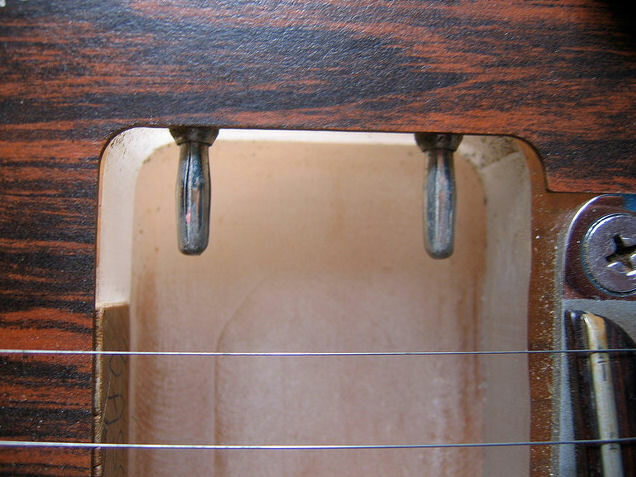 These excellent pics were put up by an unknown guitar tech, who was comparing his own '70/'71 model to an earlier 1969 guitar that came in for some work. "The '69 on the right belongs to a local store, I'm just setting it up for them. 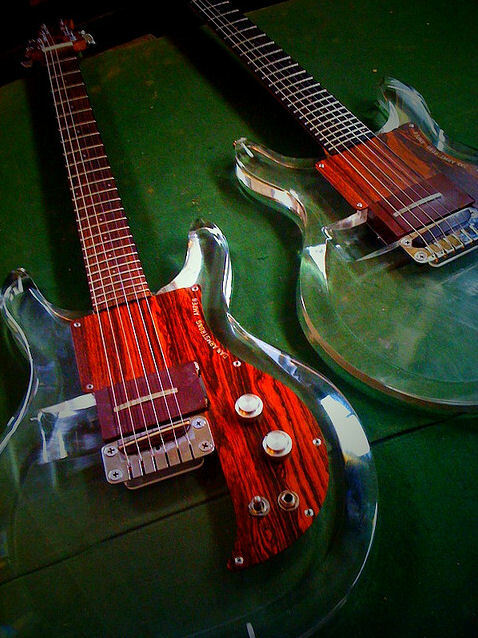 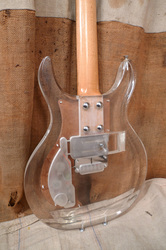 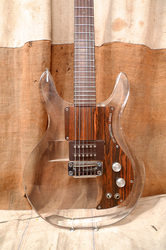 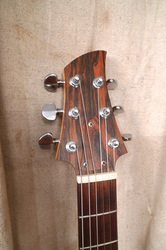 It has the more desirable fatty neck profile than the weeny profile the '70-'71 models and reissues have. 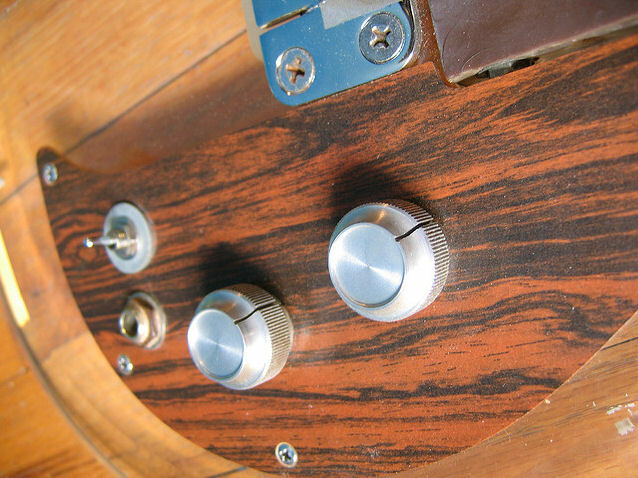 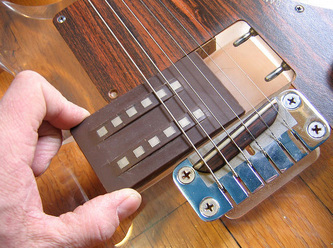 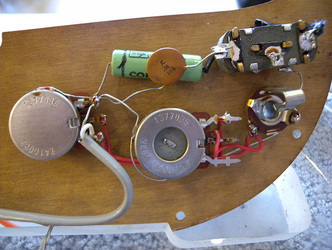 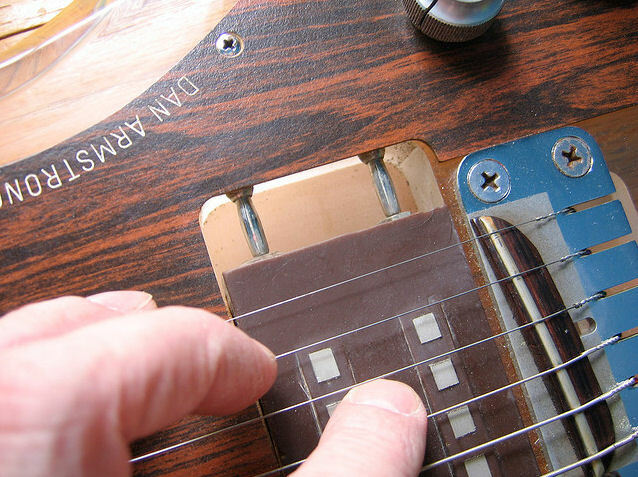 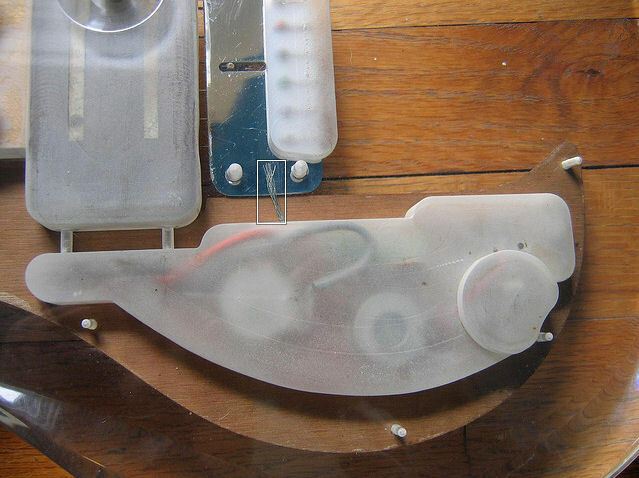 The '69 also has a different wiring scheme than the later models, one setting actually takes the volume and tone controls out of the picture, pickup straight to jack. 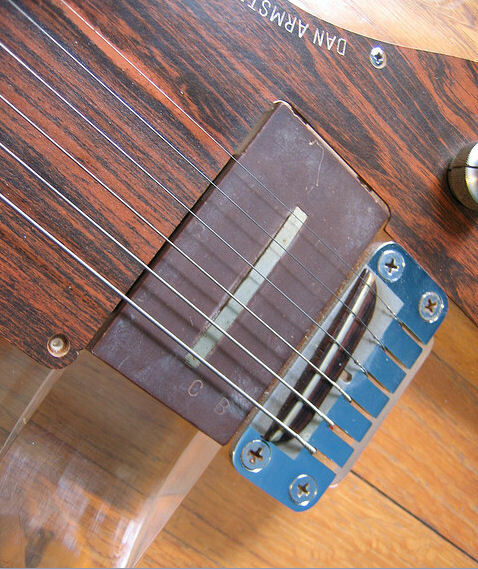 The 70's version is more like an Esquire. 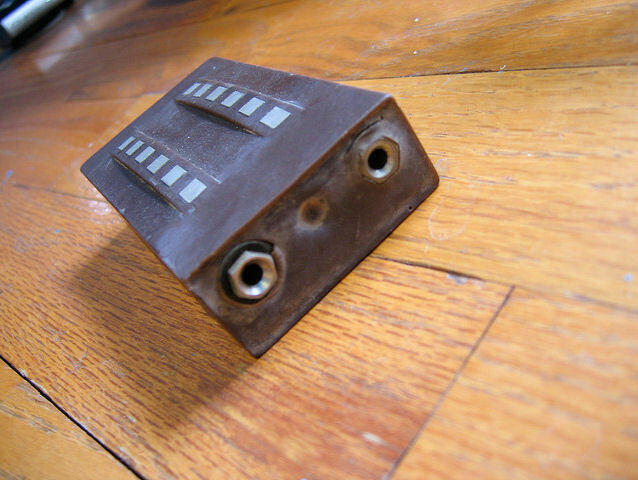 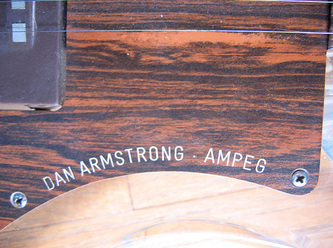 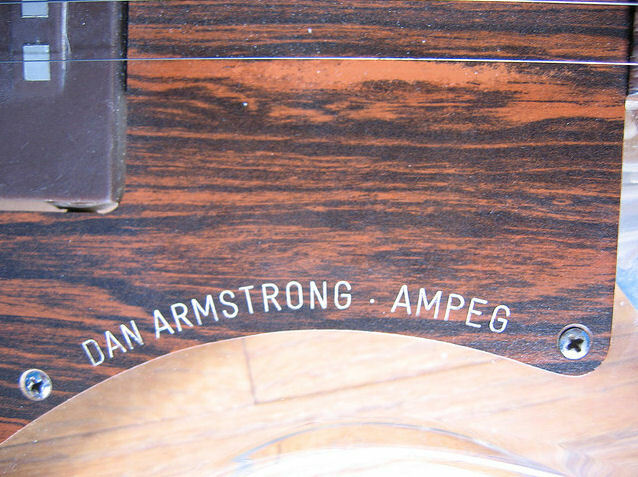 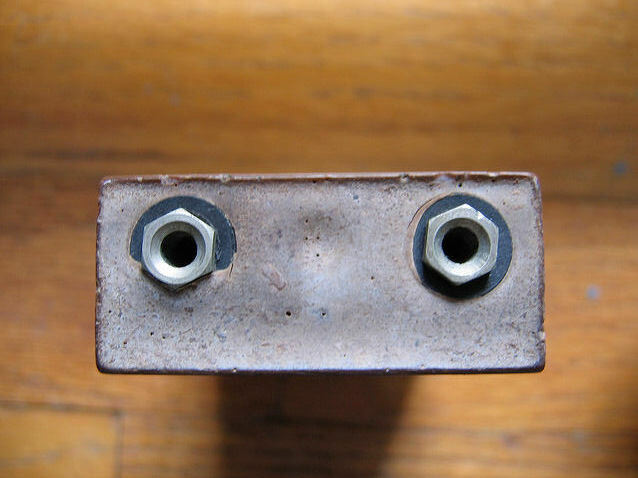 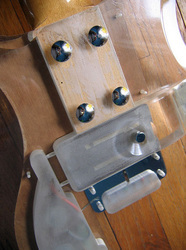 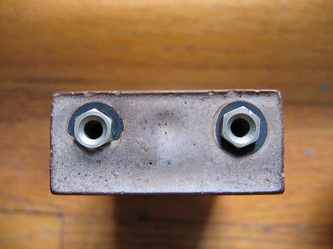 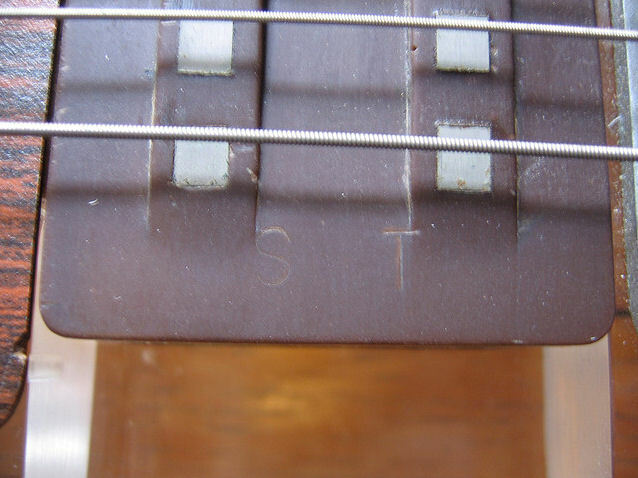 The bridge plate is also slotted differently on the '69, not as deep. 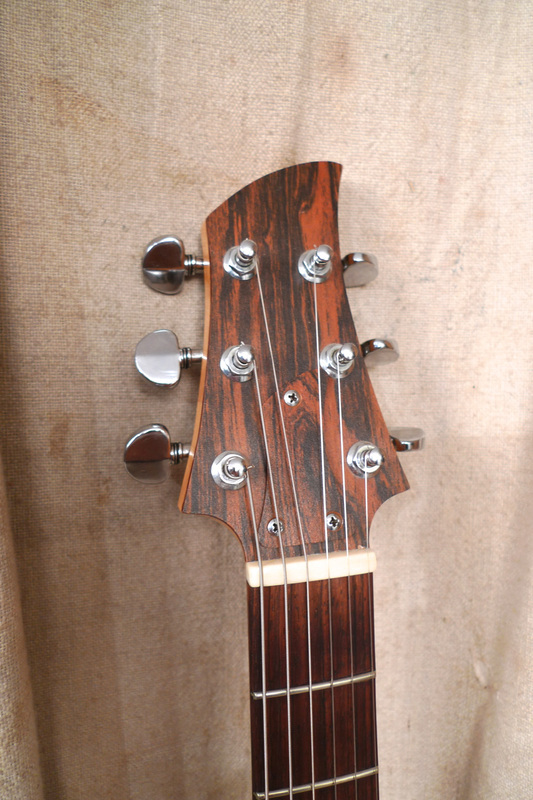 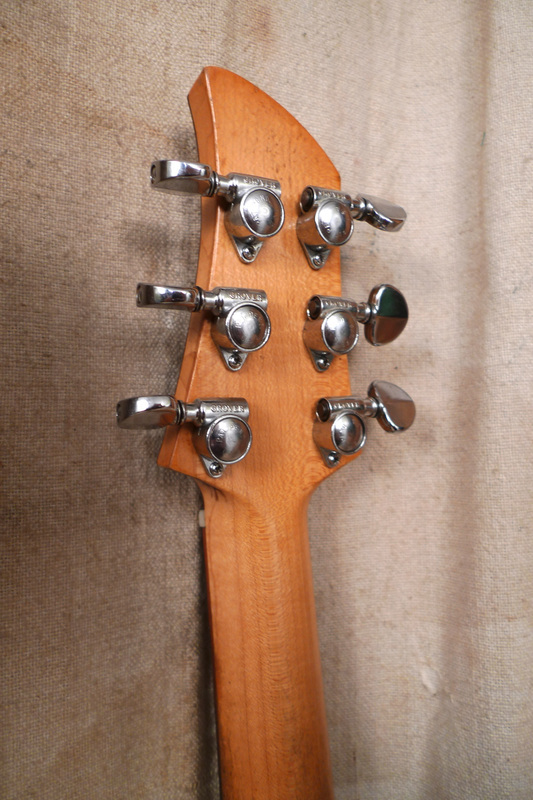 This one has minor issues, replaced Grovers as well as all of the original pickguard and truss rod cover screws. 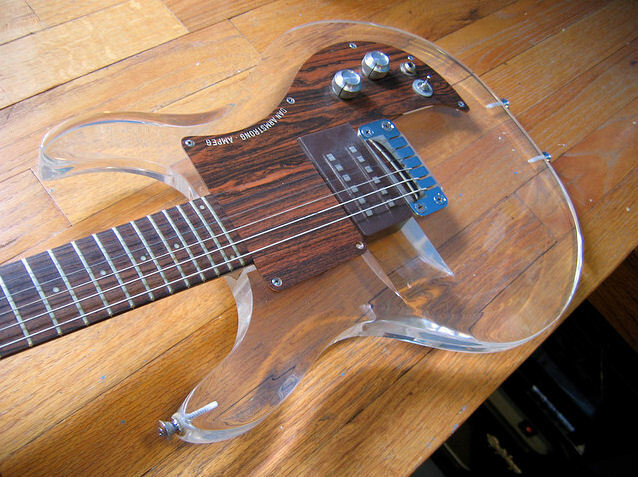 It is otherwise very cool." "On my 36th birthday, I traded my Fender Cyclone and about $500 bucks for this guitar at a Ft. Wayne pawn shop. 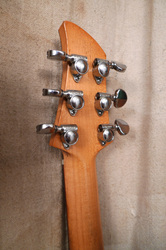 shortly after, the price of these started to climb!My '70 is all original except for the switch, which has been replaced with a period-correct original Carling. 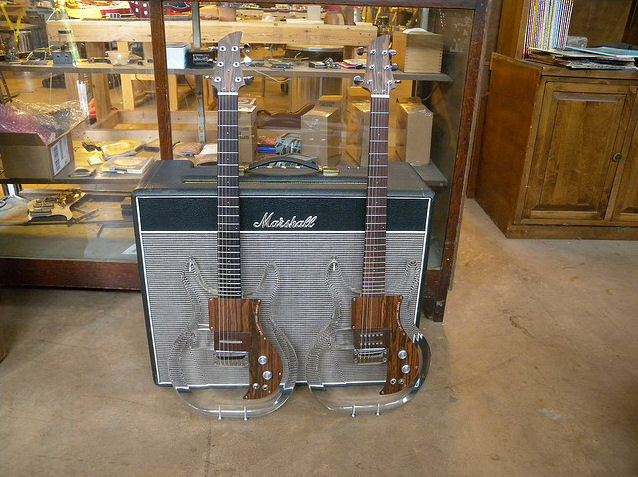 In the grand scheme of things, I'd rather have the '69 with the bigger neck. 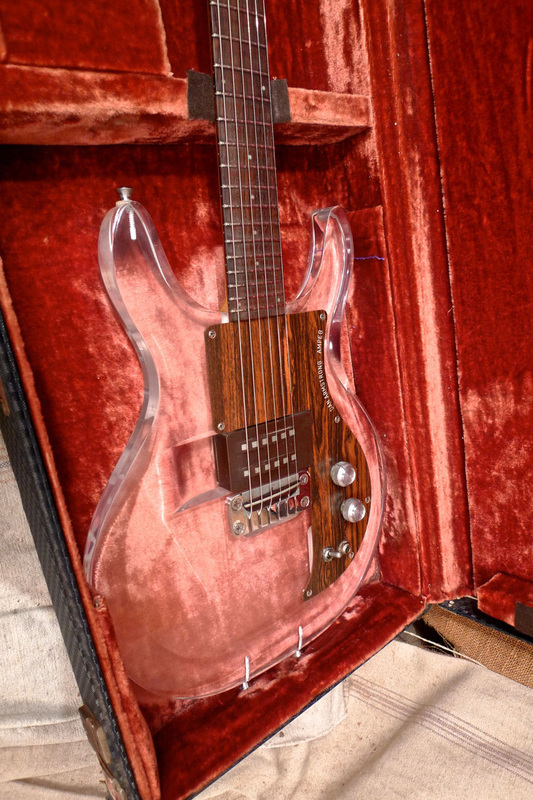 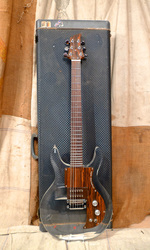 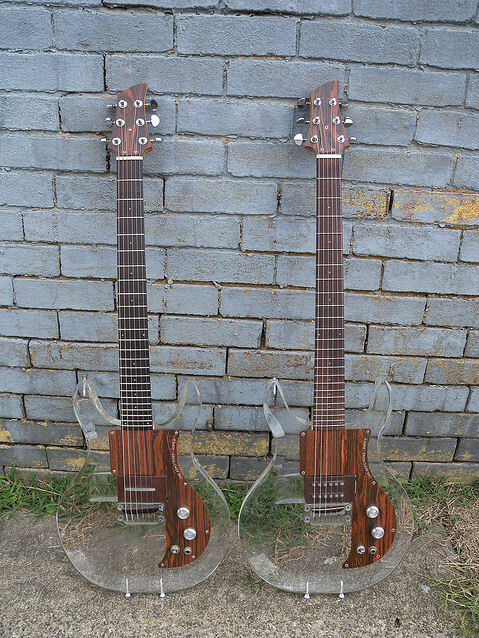 It's for sale too..."
This guitar then came up on Gbase in September 2013 with an asking $4,200. 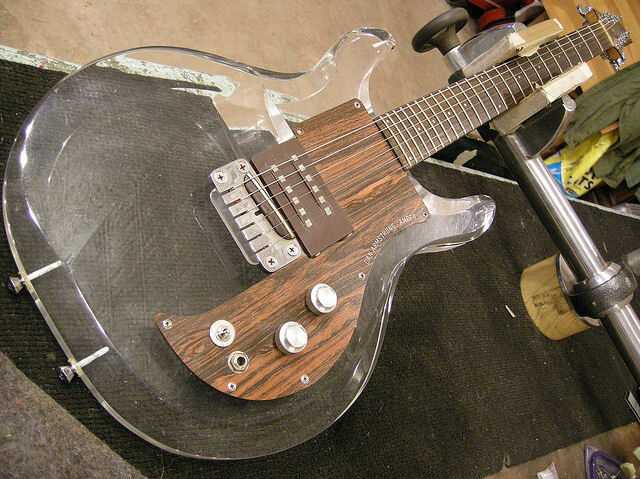 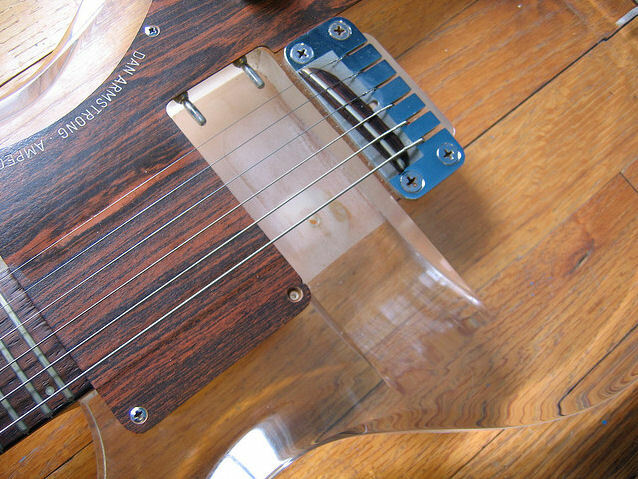 According to dealer Southside Guitars of Brooklyn, the guitar comes with both the ST and CB pickups and a non-original hard shell case. 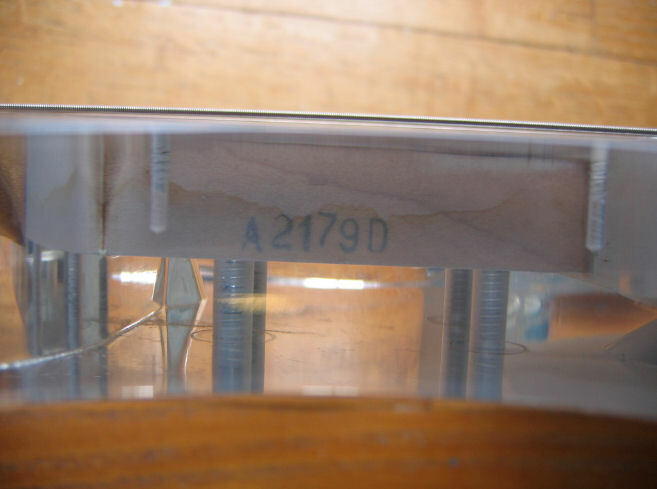 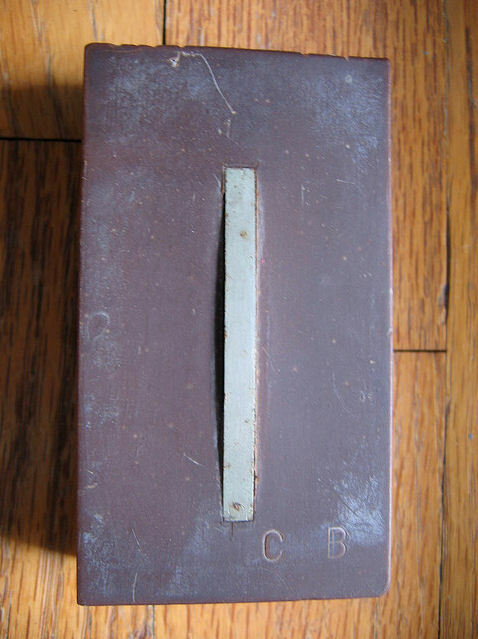 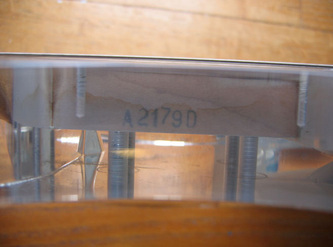 The serial number was verbally confirmed as A2179D. 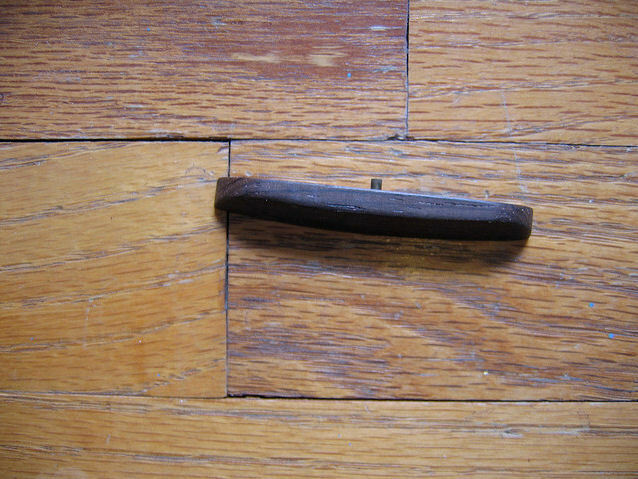 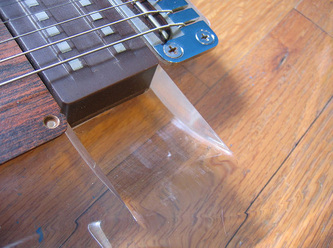 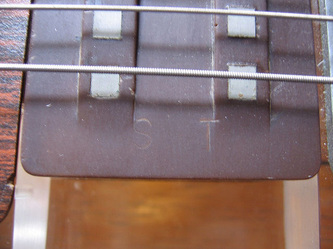 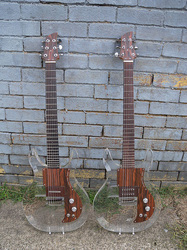 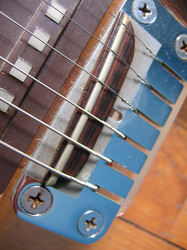 Frets were said to be in very nice original condition with almost no wear.